Welcome to Babcock Paving, Inc.
Cranking out hot mix asphalt for over thirty years, Babcock Paving is an Indiana State Certified Hot Mix Asphalt Producer. 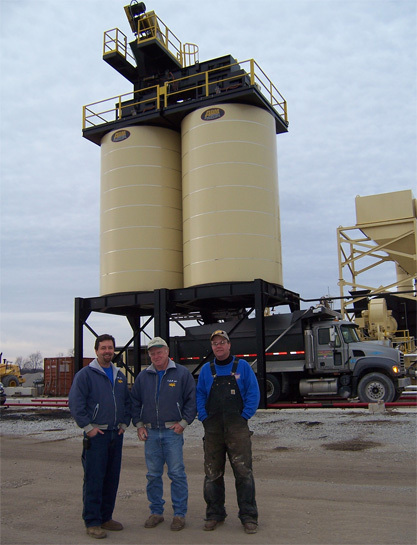 The late Tom Burns started Town & Country in 1982 as a small paving contractor and in 1985 purchased the Babcock Paving asphalt plant in Rensselaer, Indiana. The Rensselaer plant ran until the fall of 1996 when it shut down. Town & Country also operated an asphalt plant in Kentland, Indiana from 1993 until 1998 when it was sold. In the spring of 1998, Babcock Paving opened a used 1960’s plant with modernizations at the DeMotte, Indiana property which ran until the fall of 2008. 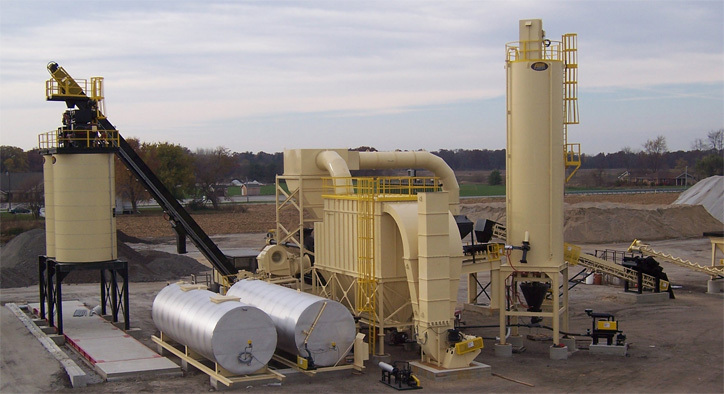 In an attempt to better serve customers as an asphalt producer, Babcock installed a 2008 model ADM hot mix plant at the DeMotte property that began operations in April 2009. The plant is an environmentally friendly plant that uses recycled asphalt and shingles, has less air emissions and is more fuel efficient. With the installation of the new plant, a quality control and assurance lab was built and a certified asphalt technician hired to manage it. Babcock’s lab is an Indiana Department of Transportation certified testing and design lab. Our technician can assist customers in designing asphalt to their specifications meeting state and local standards. Town & Country Paving is Keeping it Green! Continuing its efforts in recycling Town & Country purchased an Eagle crusher to recycle asphalt and concrete. Once the asphalt is crushed it is recycled back into the Babcock Paving asphalt plant and into new asphalt for paving. The concrete is crushed and used as stone base. General Manager, Rodney Urbano says that many customers prefer the crushed concrete stone to regular driveway stone in that it costs less and everyone likes the idea of recycling resources.